So, you’ve read our latest news, and you’re keen to know more about the online adaptation of Acorn Pixie. No problem we’ve got you covered! First of all, it’s worth remembering that Acorn Pixie is currently exclusively available at the Golden Nugget Casino. But we’re not sure how long they’ve negotiated exclusivity for. 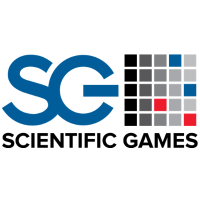 So, by the time you read this review, there’s a good chance you’ll find Acorn Pixie in more online casinos that distribute Scientific Games (SG) in New Jersey like Betfair, Play SugarHouse, Pala, Borgata, and PartyCasino to name a few. Now that you know where to find the game, maybe you want to learn a thing or 2 about it! If so, just read what’s next. How to trigger the bonus features of Acorn Pixie video slot? First of all, know that you can trigger the bonus feature whenever you want in this game. Indeed, Acorn Pixie has a unique “Buy Bonus,” feature and you’ll see it at the top left-hand side of the reel set. Know that you can buy 3 different bonuses. The first one will cost you 20 credits, and you’ll get 6 free rounds. The second bonus game will cost you 40 credits, and you’ll get 8 free rounds. And finally, the last bonus you can buy will cost you 100 credits, and you’ll play 12 free rounds. Additionally, know that you can trigger 7 Free Spins with the help of 3 or more Scatter Symbols. More on the Free Spins bonus. In short, the Free Spins bonus has a 5×6 grid (50 paylines), and each spin will give you a random number of extra Wild Symbols. In this slot, acorns will fly on the reel from right to left to reveal a background image that may contain Wild Symbols. It’s worth knowing that regardless of the way you’ve triggered the bonus game the free rounds are not re-triggerable in the bonus game. Why should you play Acorn Pixie video slot? To sum up, Acorn Pixie video slot is a beautiful game, and it has a decent hit frequency too. When we tested this slot, we’ve noticed that on average one spin in 3 gives something. But of course, as for all medium volatility slot you can expect the best payouts in the bonus game. Now, when it comes to the bonus feature, players can expect more or less the same win regardless of the way the bonus is triggered. But know that if you buy 12 free rounds, you’ll have a much better RTP (96%) then if you purchased 6 rounds (RTP of 92%). You’ll find more information on the RTP and other features of the game in the paytable. Fancy a spin? Head over to Golden Nugget casino to try it.